This stunning Beatrice gown by Karen Willis Holmes is available now. 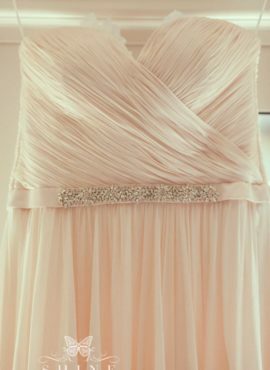 Featuring a plunging neckline and a v-shaped back with full beaded tulle gown in off-white and champagne tones. Fitted bodice with a waisted style flowing into a flattering skirt and train. 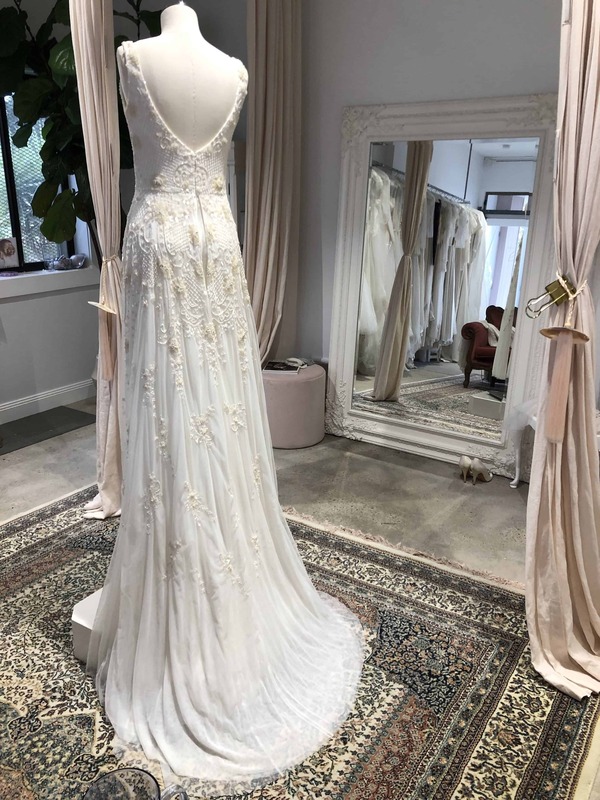 To make an appointment to view this Karen Willis Holmes gown please book in here!